The Minnesota/North Dakota Chapter of Associated Builders and Contractors produces an annual directory that provides members with a valuable source of qualified contractors, suppliers and service providers. We are proud to present this new 2019-2020 Electronic Directory as another value added member benefit. We encourage all members to utilize this important tool for your construction needs. 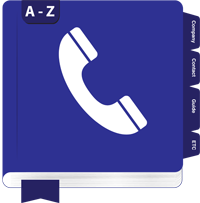 This eDirectory lists current member firms. Classified listings for subcontractors and suppliers conform with the Construction Specification Institute (CSI) standards. This widely recognized CSI format enables users to efficiently locate specific trade areas. This directory would not be possible without the support of our many advertisers. We sincerely appreciate their patronage and encourage you to mention you saw their ad while referencing this publication. This new eDirectory puts Minnesota/North Dakota ABC Members directly on your desktop. By sharing this publication with your fellow office colleagues, you greatly expand the exposure our ABC members seek to promote their businesses.